Chef approved recipes for dinners and desserts. 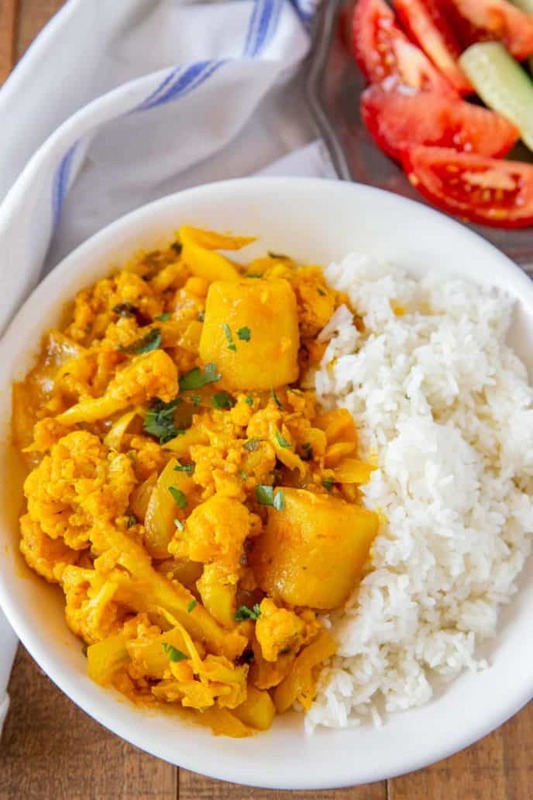 Aloo Gobi is the PERFECT vegetarian dinner made with fresh cauliflower and potatoes steamed and sautéed with seven different spices, ready in under 30 minutes! 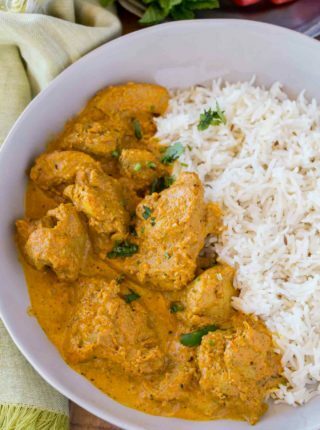 We make an Indian dish at least once a week, and right now our favorites are Easy Tandoori Chicken, Chicken Biryani, Slow Cooker Indian Butter Chicken and Indian Chicken Korma. 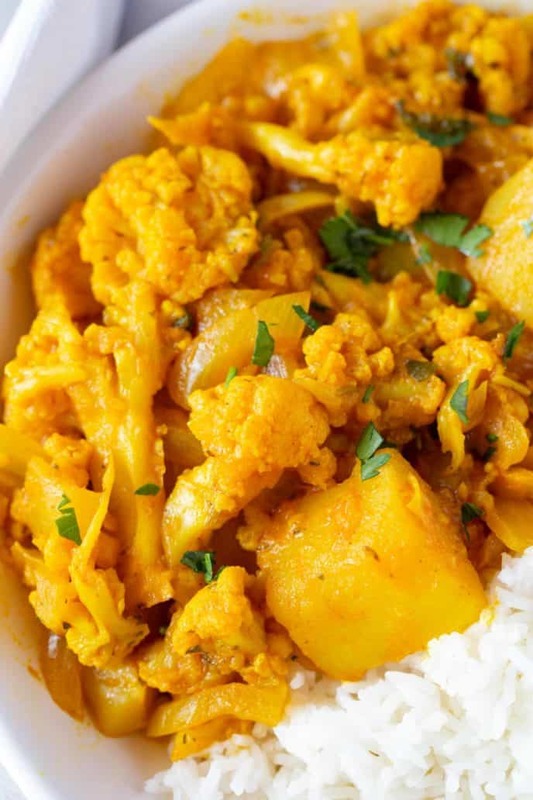 Aloo Gobi is one of my favorite go-to dinner recipes. It’s made with cauliflower and potatoes, along with onion, lemon juice, and seven different spices including ginger and turmeric. 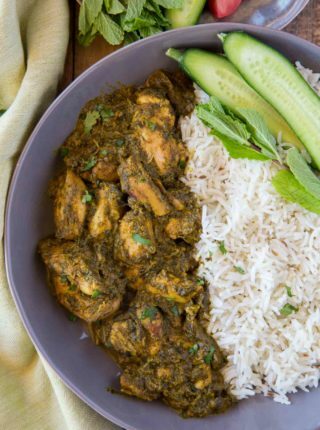 It’s quick and easy to make, and absolutely packed with flavor. It only takes a few minutes to throw this dish together, which is why it’s one of my favorite weeknight choices. Because this is made with mostly potatoes and cauliflower, you can serve this as a vegetarian option over rice, or as a side dish if you need a vegetable. 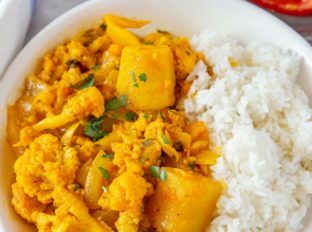 HOW LONG DOES ALOO GOBI LAST IN THE FRIDGE? Aloo Gobi will last in the refrigerator for 3-4 days, sealed in an airtight container. If you plan on freezing your aloo, I recommend undercooking the potatoes and cauliflower slightly, so they don’t get mushy when you reheat them. Aloo Gobi can be served over basmati rice, or with naan bread and some chopped cilantro as garnish. You can also make aloo as a side dish for a larger meal. Add all ingredients to the slow cooker, stir together and cook on low for 3-4 hours (until the cauliflower is tender and you can pierce the potatoes with a fork easily). Stir before serving. Use the sauté function and add onions, oil, and spices. Cook until onions are translucent, about 2-3 minutes. Add all other ingredients to the pot, close the lid and seal the pressure valve. Cook on manual setting on low pressure for 3 minutes, then when time is up use a towel to open the pressure valve to quick release. Make sure you don’t over-steam the cauliflower and potatoes, or the florets will soften too much when you sauté them with the spices. This recipe is suitable for vegetarians and vegans, and is also dairy-free. If you’re making this in the instant pot and there’s too much water in the pot, you can turn on the sauté function to cook off some of the water. Add more or less cayenne pepper to make this dish spicy or less spicy. You can also add some heat with some diced green chilies. You can substitute cumin seeds in place of ground cumin, but I recommend putting them in a food processor and pulsing to break up the cumin seeds first. 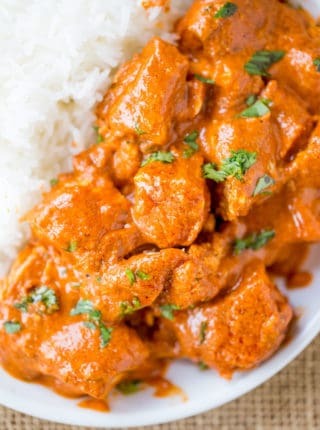 You might also hear this dish referred to as aloo gobi masala, or with additional ingredients like tomato because there are many different versions of this recipe. I like to use fresh cauliflower florets for this recipe. Technically you can use frozen cauliflower, but it might not hold its shape as well, and the aloo might turn out a lot softer. You can prep this ahead of time by steaming the florets and potatoes, then all you need to do is sauté them with the spices. Like this recipe? Save it to your Pinterest board now! Note: click on times in the instructions to start a kitchen timer while cooking. In a large pot bring 4 inches of water to a boil and add the potatoes to a steaming basket for 5-7 minutes then add in the cauliflower and steam for an additional 5 minutes. Heat the vegetable oil in a large skillet on medium heat and add in the onion slices, cooking for 3-4 minutes, stirring occasionally then add in the water, salt, coriander, cumin, ginger, turmeric, cayenne and garam masala stirring it together well. Add in the potatoes, cauliflower and fry them for 1 minute before adding in the lemon juice, stirring it in gently. All images and text © for Dinner, then Dessert. Show me what you made on Instagram or Facebook and tag me at @DinnerthenDessert or hashtag it at #dinnerthendessert. 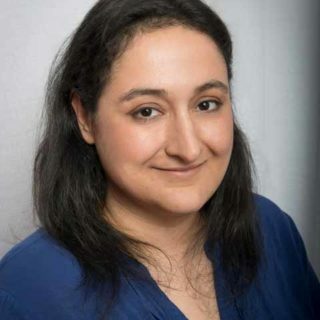 Sabrina is a professionally trained Private Chef of over 10 years with ServSafe Manager certification in food safety. She creates all the recipes here on Dinner, then Dessert, fueled in no small part by her love for bacon. Like this recipe? Share it to your friends and family! Dinner, then Dessert, Inc. owns the copyright on all images and text and does not allow for its original recipes and pictures to be reproduced anywhere other than at this site unless authorization is given. If you enjoyed the recipe and would like to publish it on your own site, please re-write it in your own words, and link back to my site and recipe page. Read my disclosure and copyright policy. This post may contain affiliate links. Sign up for daily recipes and receive a Free E-Cookbook! I have never had or tried this particular recipe, but it sounds amazing! Thank you so much for all the tips to make it at home! 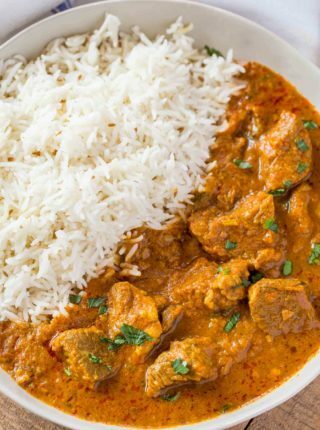 We love Indian food and this is no exception! Great spices! So glad you enjoyed it, Erin! I’ve never heard of this, but it sounds wonderful and something I could make for my vegetarian son! I’ll be giving this a try! Thanks for sharing. I had all gobi at a restaurant a couple months ago and loved it but I was too intimidated to try and make it on my own. Thanks for such an easy recipe, it’s delicious! Glad you enjoyed it, Steph! I am a trained Private Chef of almost 10 years. I love cooking for family and friends and sharing easy, flavorful recipes. Copyright © 2019 Dinner, then Dessert.